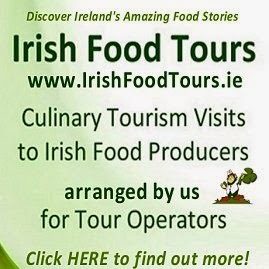 Irish Food Guide Blog - Zack Gallagher Irish Food Blogger - Food and Tourism in Ireland: Enter Your Dish in the Smokin’ Butcher Smoked Black Pudding Competition! Award-winning butcher Hugh Maguire, from Ashbourne, County Meath, is calling all chefs in Ireland to put their skills and creativity to the test, by taking part in his 2018 Smokin’ Butcher Smoked Black Pudding Competition and the entry date has been extended! 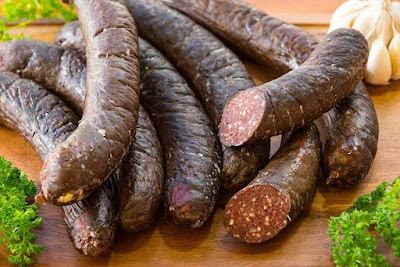 The Competition, open to all chefs in Ireland, (both the Republic of Ireland and Northern Ireland) looks for a two-course menu championing Hugh’s award-winning smoked black pudding. Chefs of all grades must demonstrate knowledge of seasonality combined with creativity and flair, using any other ingredients to complete the dishes, but highlighting the smoked black pudding in each dish. Contenders are asked to share photos of their two-course menus, along with clear titles for their creations, and the three best menus will be selected to be tasted by Darina Allen, Patrick and Russell from The Gastro Gays and Hugh Maguire himself! 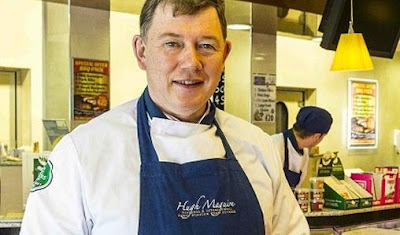 Known throughout Ireland as a leading member of the craft butcher fraternity, Hugh Maguire has won numerous awards for his sausages, dry cured rashers and black & white puddings over the years. Hugh's innovative smoked black pudding creation led to his ultimate victory and success in the 2017 Great Taste Awards. 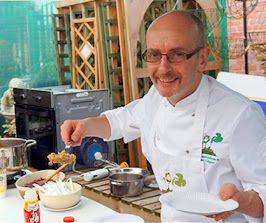 Out of 12,500 products, between the UK and Ireland, Hugh was crowned Supreme Champion as well as being presented with a Golden Fork Award for his "genius” smoked black pudding product. 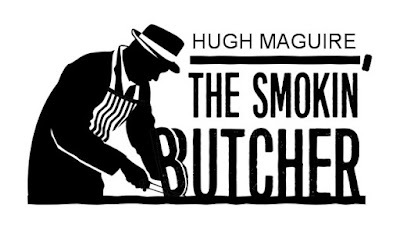 This widely recognised and prestigious award has created a lot of excitement for Hugh's new and growing sub-brand, "The Smokin' Butcher" and it's various smoked products. 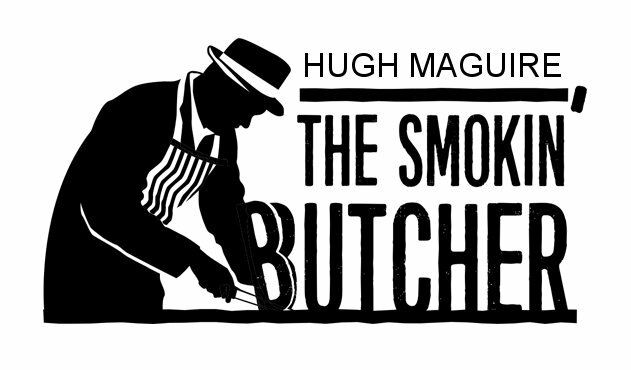 The Smokin' Butcher products are smoked in Hugh's own smoke house in Navan, Co.Meath and sold over the counter in his Craft Butcher Shop in Ashbourne, Co. Meath. The competition will accept entries until the 7th July and chefs are encouraged to share their dishes on social media for maximum exposure. The top three finalists from this round will be announced on the 12th July and the judges will then visit the chefs’ workplaces to taste their creations. 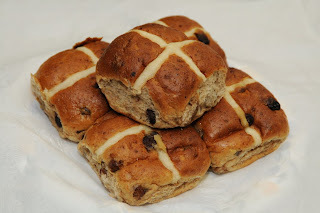 The selection will be based on originality, technical excellence and best use of the smoked black pudding. 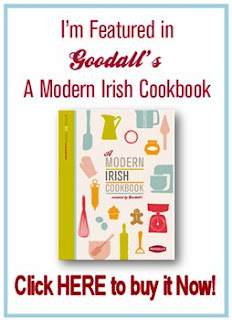 The winner will be announced on 22nd July, live from Hugh Maguire’s flagship butcher shop in Ashbourne. 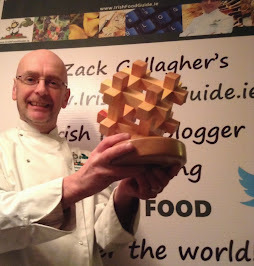 The winning chef and restaurant will be featured in a full-page article in the RTE Food Guide.